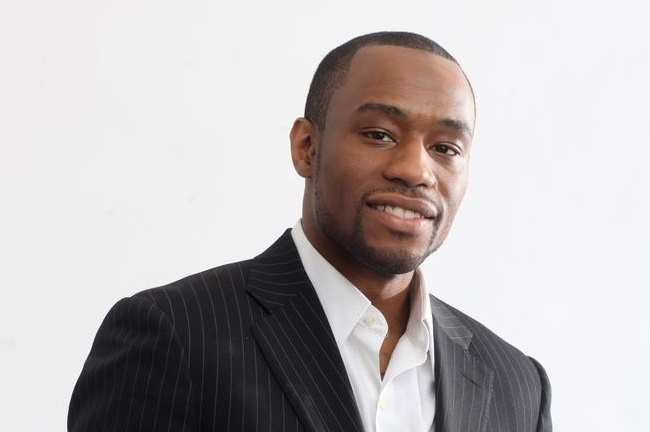 Marc Lamont Hill, distinguished professor of African American studies at Morehouse College and award-winning journalist and author, will deliver the keynote remarks at the Fall 2016 Symposium on “Race and Our Communities” on Thursday, Sept. 1. This inaugural symposium, “Race, Justice, Violence and Police in 21st Century America,” will address racial inequality, community relations and police brutality and other forms of violence, and discuss ways members of the Syracuse University community can create positive change and promote equality. Hill is currently the host of HuffPost Live, BET News and VH1 Live, and a political contributor for CNN. An award-winning journalist, Hill has received numerous awards from the National Association of Black Journalists, GLAAD and the International Academy of Digital Arts and Sciences. A social justice activist and organizer, Hill is also a founding board member of My5th, a nonprofit organization devoted to educating youth about their legal rights and responsibilities, serves as a board member and organizer of the Philadelphia Student Union and works closely with the ACLU Drug Reform Project, focusing on drug informant policy. Over the past few years, he has actively worked on campaigns to end the death penalty and to release numerous political prisoners. Hill is also the author of four books: the award-winning “Beats, Rhymes and Classroom Life: Hip-Hop Pedagogy and the Politics of Identity;” “The Classroom and the Cell: Conversations on Black Life in America;” “The Barbershop Notebooks: Reflections on Culture, Politics and Education;” and most recently,” Nobody: Causalities of America’s War on the Vulnerable, from Ferguson to Flint and Beyond.” Following the symposium, Hill will host a book signing inside the Syracuse University Bookstore. The Fall 2016 “Symposium on Race and Our Communities: Race, Justice, Violence and Police in 21st Century America” is scheduled for Thursday, Sept. 1, at 5 p.m. in Goldstein Auditorium, Schine Student Center. Tickets are available at the Schine Student Center Box Office; students, faculty and staff must present valid Syracuse University ID. The box office is open 11 a.m.-5 p.m. Tuesday and Wednesday, and 11 a.m.-6 p.m. Thursday. American Sign Language (ASL) and Communication Access Real Time (CART) interpretation will be available for each event. If you have requests for accessibility and accommodations, please contact the Equal Opportunity, Inclusion and Resolution Services (EOIRS) office at 315-443-4018.